Last week I wrote about how we might be heading into an “X with Alexa” trend (X being any product you can think of) which reminded me of the “Tinder or Uber for everything” trend. With the Klove Knob, a stove knob with Alexa built-in, and Vobot, a smart clock Alexa built-in, I came across two new devices this week. Still unsure why it should make sense to add Alexa to each imaginable (consumer) product. We won’t have autonomous cars overnight. This is not only due to technological but also compatibility issues (people are not familiar with the technology, they do not trust it, they prefer driving because it equals enjoyment and fun…; see Compatibility here). However, compatibility can and will increase through several steps, which, again won’t only be of technical nature (such as the progression across the autonomous driving levels) but also through use cases in niches. One niche application is public transport. For example, the city of Berlin and two other partners are going to operate autonomous buses in 2018. That public use of autonomous driving technology will familiarize citizens the concept of autonomous driving. Furthermore, autonomous cars are more than just autonomous driving. They are about autonomous readiness (fueling, maintenance, etc.). Here, customers will be familiarized with the topic of not maintaining cars (which is something a lot of people like and consider essential to owning a car) through car maintenance companies (fuel delivery, maintenance, and washing coming to you). I saw two wearable cameras this week. 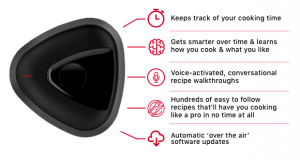 Shonin, a camera you clip to your clothes, started August 1st on Kickstarter. 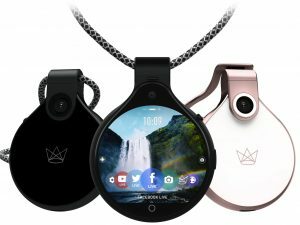 FrontRow was announced last week (13.08) and is a round camera you hang around your neck. Whereas Shonin is easily identifiable as a camera, FrontRow has a necklace like design and blends very inconspicuously with your clothes. All day cameras have been along for quite some time (see Memoto or Panasonic, for instance) but have only reached mainstream with GoPros and similar in “niche” applications like sports or festivals (niche relative to 24/7 wearing). I guess that there are four reasons why all day worn cameras are still only a niche. Expensive (relative to the smartphone): The newly introduced FrontRow, for example, costs $399.00 That is a lot, especially as you still will want to own a smartphone. Unfashionable looks: Even the quite unintrusive looking FrontRow looks to “gadgety” to be worn all day. People’s looks are precious to them (consider how much time and money flows into outfits) and adding tech to that will only work if it is considered “fashionable” (whatever that might be). Privacy: In a recent survey about Google Home I found that (German) people’s main aversion against it was rooted in privacy concerns (Google Home was considered a surveillance device). Furthermore, reactions to Google Glass painted a similar picture when it was introduced. Although with Snap’s Spectacles the reaction was not hostile in regards to privacy, I still believe that the thought of being surveilled 24/7 by people with no public authority is threatening. No use case: Well, not exactly, but I have the impression that for most people a worn camera means recording everything throughout the day. And I further have the feeling that people do not see a need for that (except in special scenarios such as parents with small children). 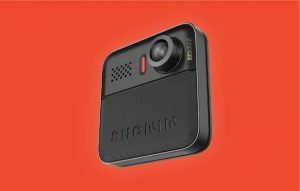 However, wearable cameras must not be considered a product but rather a part of a wider “transformation”, such as, for example, Ubiquitous Learning. I have defined Ubiquitous Learning here as an all day learning environment supported by technology (such as wearables) which goes beyond book knowledge into the improvement of everyday activities such as having a conversation. Here, a camera would capture the other person’s reactions and give your recommendations on how to adapt your speaking, if, for example, it sees you annoying the other person. Furthermore, it merits to imagine what having a vlog of your whole life means (what would you need to remember? how could you use it as evidence at court) or, further down the road, how it can be coupled with augmented reality (of which Ubiquitous Learning is actually a subcategory). Will their current format factor (such as FrontRow) slowly move from professional applications (such as police officers equipped with body cams) to the mainstream or will they gain mainstream acceptance only after they have become “fashionable” enough (good looking, invisible…)? Will there be “one” use case fueling their adoption or will they start diffusing into the mainstream only after they have turned into a system such as augmented reality? Will they diffuse at all? I guess so, but at least we should leave the possibility open that even in the future we will want to keep our “analogous” view of the world. Congress passes OTC hearing aids legislation. That’s great as it allows headphone manufacturers to sell hearing aids to people with mild hearing loss. Furthermore, this cuts out audiologists out of the equation, will make hearing aids accessible to more people and push all day wearing of headphones (which I consider an essential part of the future). “Mind-Controlled VR Game Really Works”. 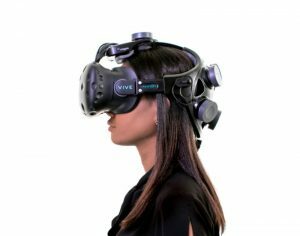 The Startup Neurable has a working prototype of a VR game that you control via an “electrode-laden headband” connected to an HTC Vive VR headset. Cool stuff, but I think we first have to figure out flawless voice control before we can start controlling things with out brains. Growing up with Alexa. For kids growing up with Alexa and similar, using an invisible butler for controlling home appliances, will be as normal as it was for me to operate the same devices with remotes and buttons. The Vi, a headphone with a built-in AI coach, is apparently pretty good (according to a review on Business Insider). Really looking forward to seeing more of such devices which for me fall into the category of Ubiquitous learning. Decentralization of cinemas. The German new site t3n reported about Virtual Lab which is building the “cinema of the future” by giving users a “cinema like movie feeling at home” through VR headsets. Thus threatening the existence of cinemas. I am unsure whether this will work. Going to the movies is more than just watching a film, it is a social endeavor. This is something you do not have at home. Considering, however, that streets also used to be social gathering places and the trend towards “digital hangouts” we must also take into account the possibility of cinemas disappearing. If that were to happen, then we would need another place for social gathering of that kind (see Need substitution below). Q&A feature in Google Maps. You can ask questions in Google Maps around places and other people answer it — dope! Despite growing information availability on companies’ websites and Google, people still like asking questions or have very unique, one-time questions. What bothers me is that it is not anonymous, I am assuming that would prevent a lot of people from asking. What will happen if you get sick in a voice-only word? Need substitution with autonomous cars: For many people driving equals excitement and freedom. Taking away driving with autonomous cars equals taking away this excitement and freedom. I have explained here (under Compatibility) why this is a huge problem for the adoption of autonomous cars. Although I do not think that it will stop the autonomous cars’ diffusion, I believe that will need another source of joy and freedom once driving is taken away from us. Whereas more free time by not having to drive will be an alternative source for freedom I am not sure what will substitute the lack of excitement. Surge pricing for cars to solve traffic congestion: Related to above I read about the idea to solve traffic issues by charging for cars based on time of the day (similar to Uber). I like that idea and with performance-based taxes and similar we already have that to some extent. Fun to drive and autonomous a contradiction? Driving the Tesla Model 3 seems to be a lot of fun (review). If that will be the case with Level 4/5 autonomous cars as well, I do not quite see the logic. If these cars are fun to drive, nobody will want to switch to being driven.